New nurses often face the daunting challenge of managing their time while learning the ropes of a new job and career in healthcare. After the hard work of nursing school, the rubber truly hits the road when the novice nurse leaves the frying pan and walks directly into the fire of being professional nursing. While many nurses and non-nurses alike think of hospitals as the places where nurses practice their vocation, nurses can enter the profession in a wide variety of settings. The difficulty of time management is one of the first major hurdles to tackle, whether in home care, assisted living, ICU, the ER, or school health. Prioritization: Learning to prioritize tasks and responsibilities can be difficult when everything seems equally important. The power of prioritization comes from experience, as well as the guidance and example of those who know more than you. Self-care/stress management: Taking care of yourself may not seem like a strategy for managing your time, but if you’re rested, hydrated, fed, and living a balanced life, staying centered and focused is easier. Self-care includes taking breaks at work, managing stress, having moments of reflection, and making sure your physical, emotional, and spiritual needs get met. If your stress is under control, your work will be more manageable and less draining. Ask questions and show curiosity: Emulating successsful nurses is a smart move, and in order to do this, you need your innate curiosity as your guide. If you admire a seasoned nurse who flawlessly manages her time, tell her you’d like to know her secrets for self-assured management of stress and time. When it comes to report, ask the right questions to get the most crucial information. Whether or not you have an official preceptor or mentor, you can lean on others for the wisdom to succeed. 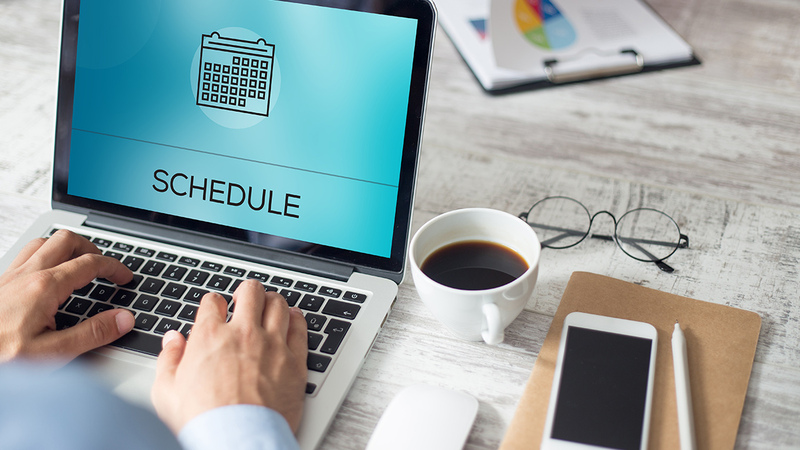 Streamline, streamline, streamline: Most recommendations regarding nurse time management say that you should group medications and treatments whenever possible and practical. Running back and forth to a patient’s room multiple times can be a waste of time and energy. If a patient needs a PICC line dressing change, a nebulizer treatment, and a medication dose around the same time, get it done in one fell swoop if circumstances permit. Practice your listening skills: Listening well during report allows you to glean valuable information before shift begins. Listening to patients shows you what they think is most important. Whether in home health, hospice, ICU, or elsewhere, listening to family members and loved ones will also help in making prudent time-sensitive decisions. Embrace flexibility: Let’s say your previously stable home health patient calls to let you know that something is terribly wrong and she needs to see you sooner than your planned 3pm visit. Being less rigid and embracing flexibility gives you the presence of mind to call your 10am patient and reschedule a non-urgent assessment that can be postponed. Lack of flexibility can cause you to miss signs that things need to bend with circumstance, whereas an open mind will keep you awake to appropriate prioritization. Organization rules: Every nurse has their own organizational style. One hospice nurse has plastic totes in her car trunk so anything she needs is within reach. A nurse in a telemetry unit uses a custom checklist to stay on track throughout every shift. Your brain has its own organizational needs and habits – which ones work best for you? Assessment and triage: Assessment is the first step in the nursing process because information helps us make sound decisions. As you triage and assess throughout the day, you can call upon flexibility (#6), organizational strategies (#7), listening skills (#5), and prioritization (#1) to empower you to make good decisions and wisely manage your time. Reject unnecessary interruptions: Interruptions can happen throughout your work day no matter what type of environment it may be. Some interruptions are truly crucial (e.g. : a code blue) but many can be triaged (#8) and postponed until later. Allow yourself to say “no” when the going is tough and something unnecessary can be delayed or ignored. Try some delegation: Nurses sometimes think it’s easier to just do everything themselves rather than delegate tasks to others. Support staff are there for a reason, so make use of them when you need them most. When you delegate appropriately, everyone wins.